Jay Davis played nearly two decades without making the majors. But he did become a star. Davis' star ended up rising across the Pacific Ocean, in Korea. "Jay Davis had far and away the best career of any foreign hitter in the KBO, with Tyrone Woods as the only other player in the conversation," one blogger, Burly's Baseball Musings, wrote in 2016. Davis' Korean longevity helped him break the league's foreigner RBI title in 2005. He hit 30 home runs in a season twice and hit at least 19 in each of his seasons there. He played all seven seasons with Hanwha. In all, Davis played in 19 professional campaigns. He spent brief stints in three of those seasons at AAA, but he never made the bigs. 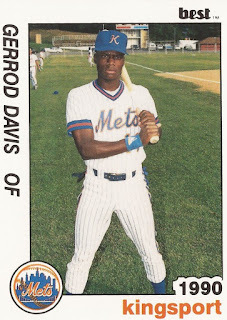 Davis' career began in 1989, taken by the Mets in the 12th round of the draft out of Orr High School in Chicago. Davis is also sometimes credited by his given name, Gerrod Davis. 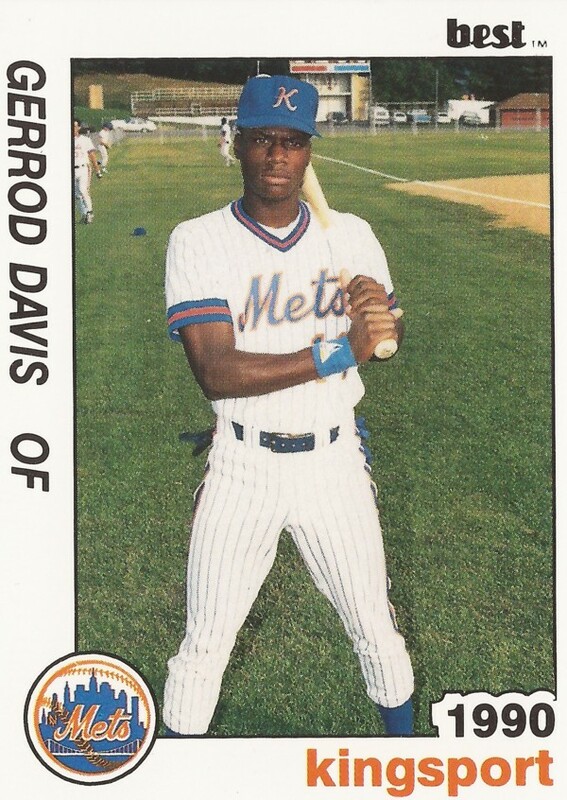 Davis started with the Mets in the rookie Gulf Coast League. He moved to rookie Kingsport in 1990 and single-A Columbia in 1991. He hit .297 in 132 games at Columbia. He made AA Binghamton in 1993, returning there for 1994. He hit .329 his first year there and .255 his second. He knocked in a run on a triple to close out 1994. Davis also saw AAA briefly in 1994, getting into six games at AAA Norfolk. He got into another 10 games there in 1995, tripling and scoring in an April game. His final AAA and affiliated time came in 1996 with 33 games at Tucson for the Astros. Davis then turned to independent ball, playing at Rio Grande Valley for 1997 and 1998. He hit .357 and .405. He also started to find his home run stroke. He'd never hit more than five in a season previously, but he hit 15 in 1997 and 26 in 1998. He hit two home runs in a May 1998 game. He continued his home run hitting in Korea. He hit 30 there in 1999, while hitting .328. He then hit 22 and .334 in 2000. Davis continued playing in Korea through 2006, with the exception of one season played in Mexico. He broke the Korea foreigner RBI record in September 2005, logging his 511th career Korean RBI on a home run. Video of his shot is available on YouTube. Davis then ended his career in 2007, playing between Mexico and independent St. Paul. He's continuing in the game in 2017, helping teach youth the game. He's listed as a coach for the Hitters Louisville Slugger Authentic Club in Wisconsin. What is the secret of corporate longevity? I am glad to hear that Davis is continuing in the game in 2017, helping teach youth the game. Once you read http://getessayeditor.com/blog/secrets-of-long-life-what-to-eat-to-live-to-a-hundred-years, let us know what you think about this!